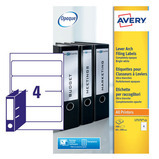 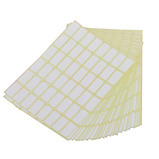 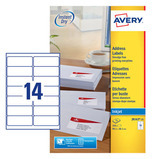 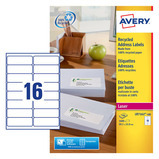 White self-adhesive permanent labels for use with laser printers. 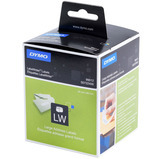 FSC certified white labels – made with paper from well-managed forests and recyclable as part of paper waste. 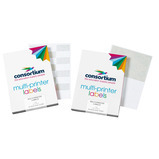 Same great labels – now Eco Friendly. 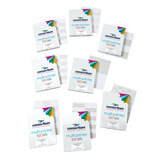 Self-adhesive small labels in a variety of colours. 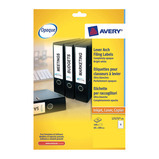 White labels designed for sticking on spines of lever arch files. 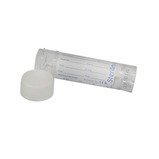 Superb value, non-foaming liquid, which performs well in soft to medium water conditions. 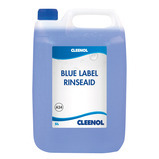 Ensures a streak-free sparkling finish. Add to the final rinse stage of the dishwashing cycle. 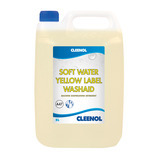 Suitable for the washing of crockery, cutlery and glassware for soft water. 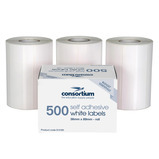 Premium quality self adhesive white labels. 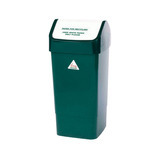 Plastic swing top bin complete with lid and printed label. 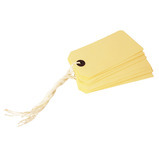 All food items need to be rotated to ensure that the oldest items in inventory are used up first. 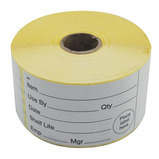 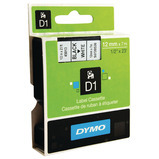 Intended for use with the Dymo LabelWriter 450 series of label printers. 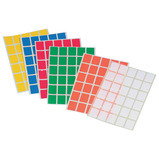 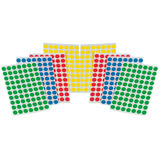 Self-adhesive dots available in different colours and sizes. 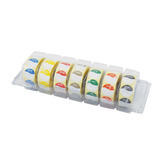 The labels are used to identify discard dates for prepared foods and allow quick detection of products when filled in correctly. 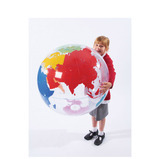 Customise this write and wipe globe to enrich geography, history and social studies lessons. 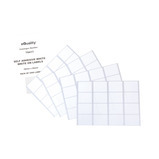 With no printed words, this is ideal for assessments to locate and label continents, countries and oceans. 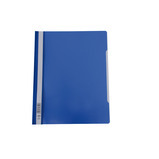 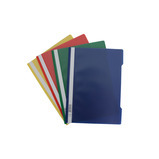 Designed to fit Gratnells trays and A4 ringbinders, lever arch files and box files. 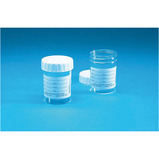 A specimen container for use when patients need to provide samples. 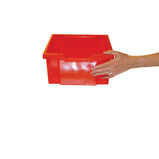 Plastic container with a label to record resident information. 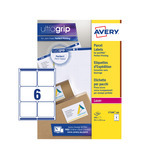 Storage bags for use with anything from books and toys to placing some items inside for discovery. 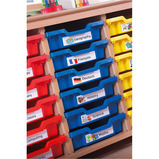 Place a label in the clear plastic pocket so teachers and children know what's inside. 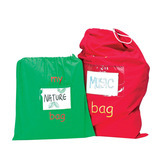 Cotton drawstring bag.